The Creative Arts Therapies Manual: A guide to the History, Theoretical Approaches, Assessment, and Work with Special Populations of Art, Play, Dance, Music, Drama, and Poetry Therapies, edited by Stephanie L. Brooke, Ph.D., NCC, a nationally and internationally known author, is a unique contribution to the field of the creative arts therapies. It covers art, play, dance/movement, music, drama, and poetry therapies. Specifically, each of these creative disciplines is broken down into the following categories: history of the field, theoretical approaches, assessments, and work with special populations. 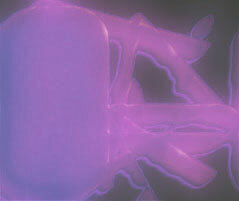 No such book exists to this date which covers these critical areas in the creative arts therapies. 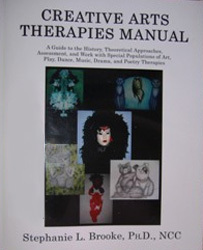 The most well known, famous therapists in these creative arts therapies fields have contributed chapters to this manual. This distinctive handbook will be useful for creative arts therapists, mental health professionals, psychologists, educators, and students who are interested in these fields or use these disciplines as their main or their adjunct approach to working with clients. To read a Sample Chapter – Play therapy assessment by Charles E. Myers, click here. - Copyright ï¿½ Stephanie L. Brooke, 2004 - 2019.